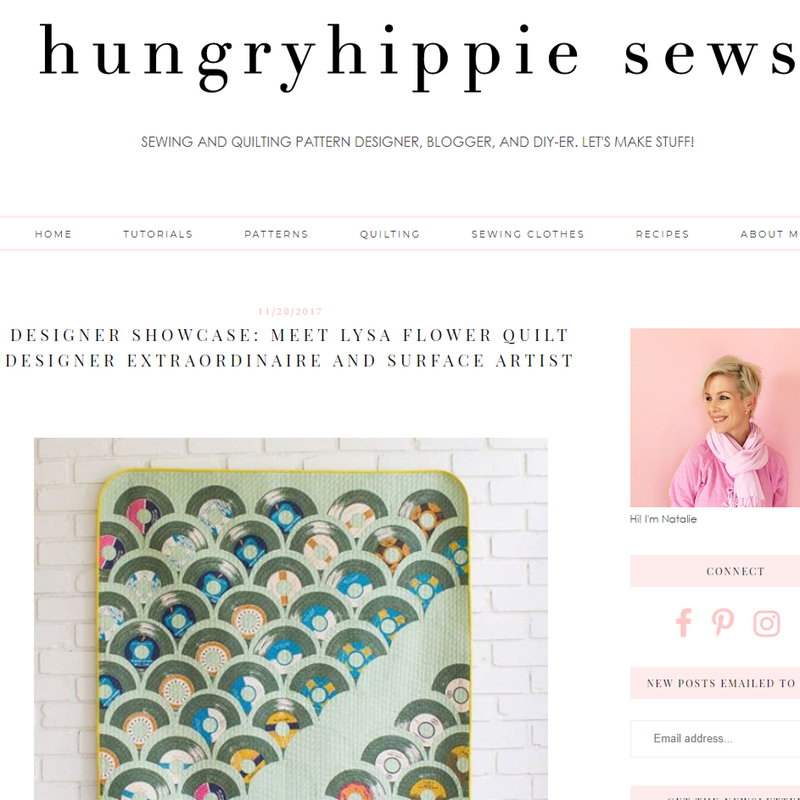 Now on to announce the winner of the Hungryhippie Sew's pattern giveaway! Congratulations... We have TWO winners picked randomly by Natalie's daughters, @nikistorr and @ohsobrooke!!!! Yay!!!! ...ALSO! 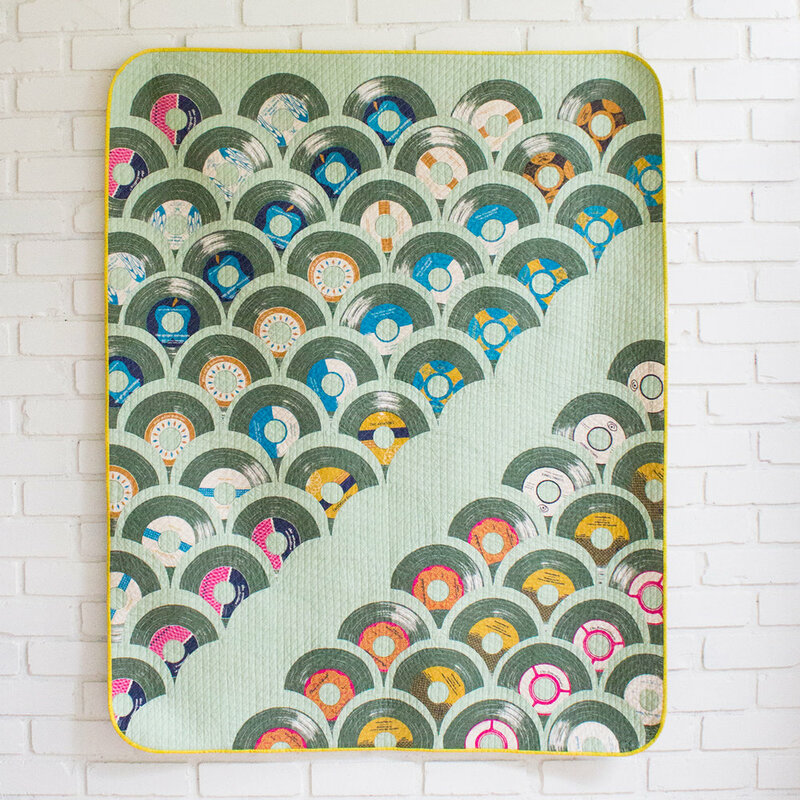 Natalie is doing a HUGENORMOUS giveaway this week on her blog: a bundle of brand new sewing and quilting patterns, sewing notions, fabric fat quarters, and possibly a vintage Magnum PI poster! But she's not promising the poster, because she loves him. To enter just leave a comment. There might also be an interview *blush* with moi. Guess what else we have to celebrate! Snap to Grid is in stores!!! Yay!!! 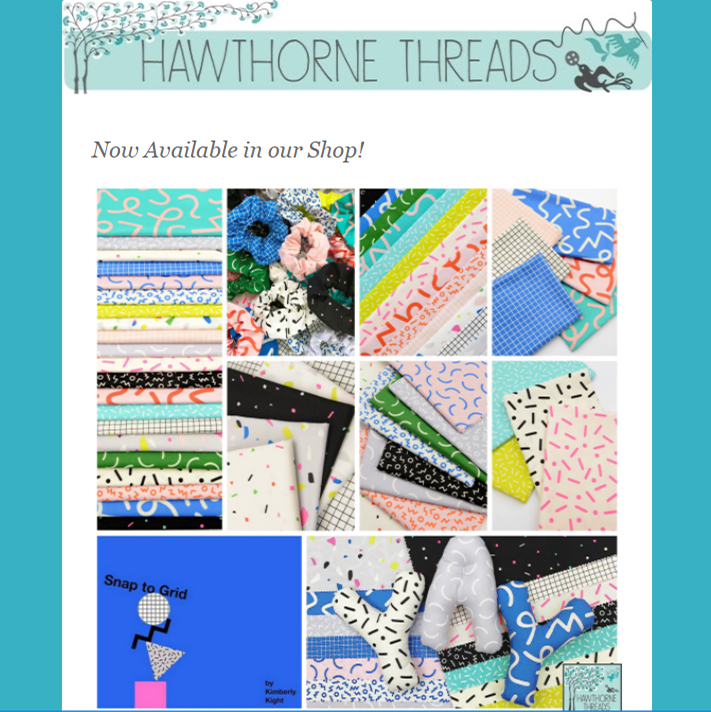 It was in Hawthorne Threads newsletter last week! 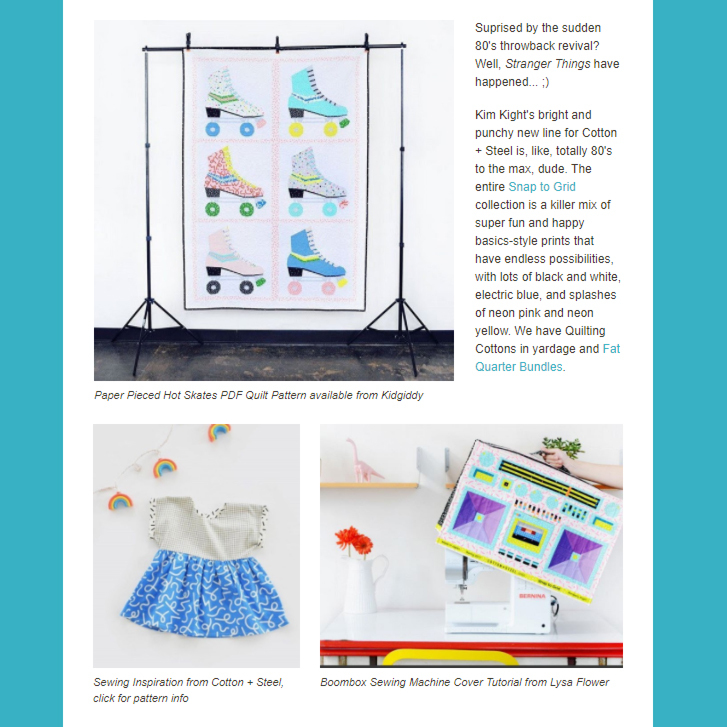 And check out The Cloth Pocket store's mood-board! So RAD right ? !